← All these technology applications and yet people still play Solitaire and Scrabble? Has the travel pendulum swung too far the other way? I’ve been on the road more than ever over the last 2 months. Having the opportunity to travel both internationally as well as domestically so much in a relatively short period I am in tune with the way the airlines, rental car and hotel industries are treating people during the current economic slowdown, post-recessionary period. The hospitality industry was hit very hard by the recession. Airlines which are not always successful in good times were squeezed hard and consolidation has resulted. It also appears that airlines have done a better job of matching the equipment to meet the actual needs of markets. The result is bad news for travelers. I cannot recall a time in recent memory when a domestic flight was not packed or oversold. And there are decidedly fewer flights to choose from. The charging for bags trend has infiltrated almost all carriers (Southwest and Jet Blue stand nearly alone in not charging for bags) and consequently people are packing or stuffing carry-on bags to the max and getting space in an overhead bin is increasingly challenging. If you are near the end of the line to board the plane the airline will ‘offer’ to check your carry-on for no charge. Only you have to go to baggage claim to get your bag now and most people have not planned for that extra 45 minutes or more. How exactly does that serve the customer? Pricing has gone up as well. I’ve advanced the idea that airline pricing has been far too low in relation to the CPI. But the quick run-up is aggravating in particular when you relate it to the deteriorating level of service. A coke and a few peanuts is often the only option on any flight less than 3 hours. And the flight attendants are more and more irascible not to mention older and grumpier. I saw a new revenue driver for the airlines this week. When checking in on United at the airport or online you can opt to pay an additional $ 39.00 on a flight from Chicago to the East Coast for ‘Priority boarding’. I believe the insinuation was that you did not have to wait on the really long security line (on which the TSA agents admonished anyone that had even a paper bag to consolidate into two carry-on bags only). But I was not sure and also not sure if TSA had a hand in any of that additional revenue. In addition at the gate you could board with the first class or elite mileage members. This might be a good revenue driver for the airline but it is nothing but an annoyance to a passenger who just spent $ 260 one way. Adding 15% to board first? Car rental companies are no better. The option of driving 75 miles or less and paying a flat fee of $ 10.00 for gas is a good one. But on this trip I drove 89 miles (got a little lost on the way back to the airport and ran out of time) and did not stop for gas. It was a mere 14 miles over the 75 mile flat fee ‘limit’. The gas charge was $ 44.43. Great customer service Avis/Budget. Drill the customer between the eyes. We will call and likely get the usurious charge reduced. Or they will lose my business forever. But again how does this serve the customer? I could get going on hotels that charge ridiculous prices for accessing the internet from your room – how annoying is that? Most people today now want internet access when at a hotel. And $ 10 or $ 15 per DAY for access is just a rip-off. But I will stop there. We all know that times were hard on the travel and hospitality business. However if these are the ‘salad days’ in increasing profitability for the airlines, rental car industries and hotel businesses (and recent earnings reports show this to be true), who will be the bold providers that acknowledge that when it comes to abusing the customer what goes around comes around? Does this stuff bother you as much as it bothers me? This entry was posted in Customer Experiences, Living in the World Today and tagged Air travel, Avis, Budget, car rentals, hotel, Jet Blue, Southwest, travelers woes, United. Bookmark the permalink. 2 Responses to Has the travel pendulum swung too far the other way? Sobering blog to say the least. As you know, I rarely fly domestically (U.S. – guess that is a relative term), which I view as a blessing. 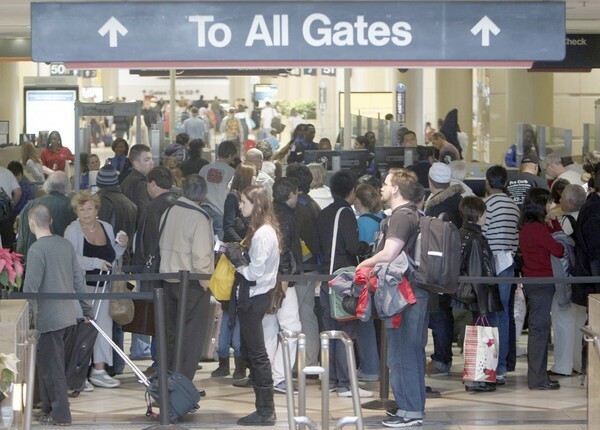 It seems the U.S. has becoming even more punishing to the frequent traveler. After your recent trip to Asia, I wonder if my perception is correct that travel is somehow more civilized on this side of the world. Certainly the increased security in the U.S. plays a role, but I do feel there is more behind it than just that. Interested in your comments. Wan shang hao. You are right in part that air travel in Asia seems often seems more civilized than in the U.S.. In particular the treatment of passengers by flight attendants which is much better in Asia. But my flight within China from Shanghai to Beijing was crowded and bus like – not all that much different than in the U.S. The main difference is that the Chinese (and Japanese for that matter) have yet to decide to monetize every single thing they can. Yet. Xie Xie for the comment.